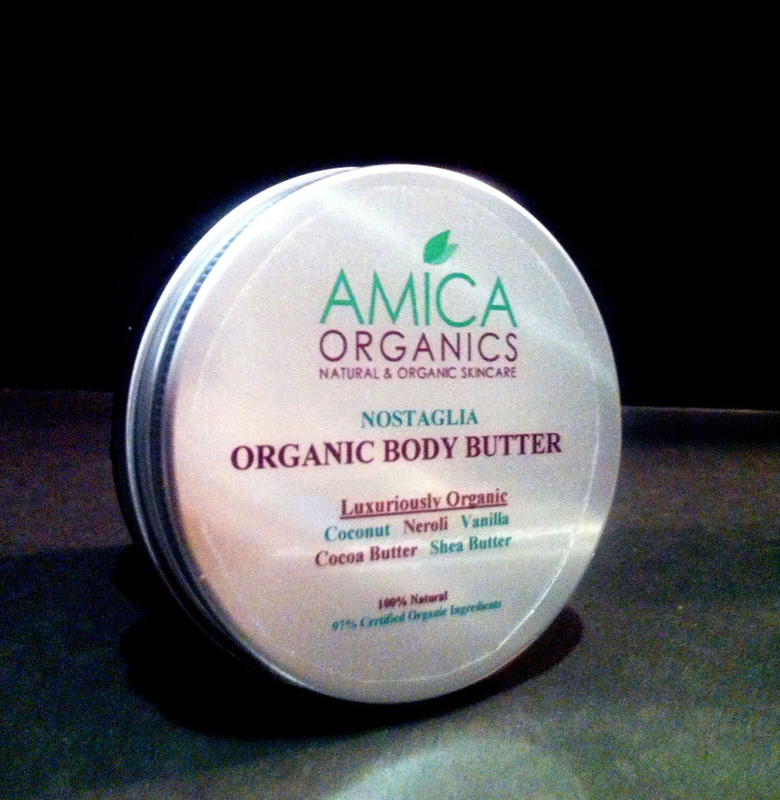 Organic Body Butter, NOSTAGLIA is a luxurious creamy, super hydrating and fast absorbing organic body butter. High end SPA quality with an AMAZING AROMA. Availability: In stock Categories: Body Lotion, Moisturiser, Organic Body Care, Organic Hand Cream, Organic Skin Care Products. Tags: body butter, body lotion, body moisturizer, organic body butter, organic body lotion, organic body moisturiser. 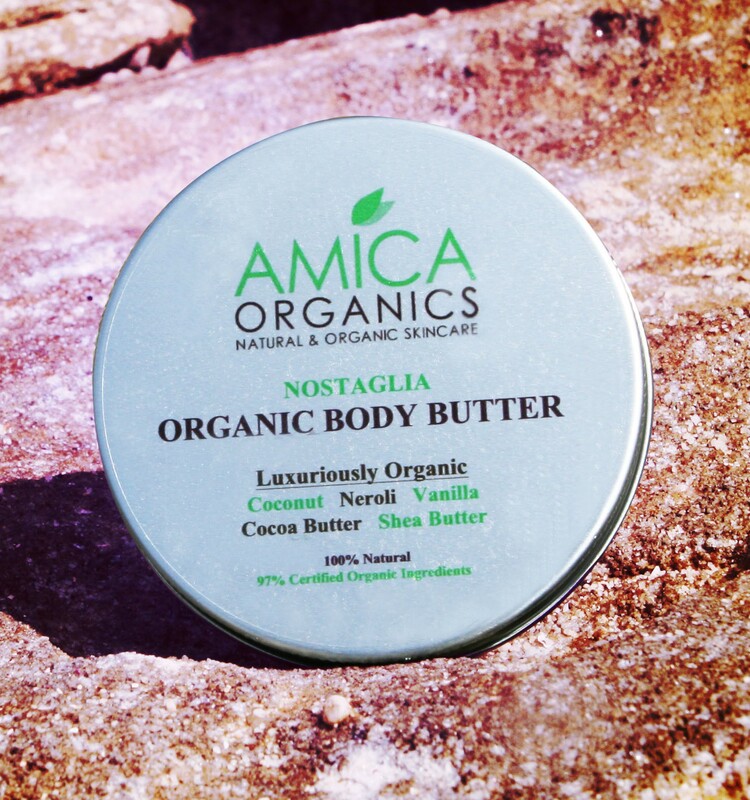 Body Butter NOSTALGIA is a luxurious organic body butter. When applying Nostaglia, you will instantly feel the rapid absorbing and moisturizing effects of this heavenly organic creamy body butter. Organic Coconut oil is known to be an effective moisturizer for all types of skin including dry skin which helps with the delaying and sagging of skin and is known to reduce stretch marks. Neroli is once again an ingredient used in NOSTAGLIA and Neroli is known to help with inflammation skin conditions and improve elasticity. Organic Vanilla Essential oil is a good source of rich antioxidants and helps prevent skin cell damage. NOSTALGIA Organic Body Butter’s daily application will leave your body’s skin feeling so smooth and supple and you will look forward to its warm and comforting aromas. NOSTAGLIA can be used by many with dry, normal or sensitive skin. Particularly good to use during winter months or those with really dry skin. To be avoided by pregnant women. 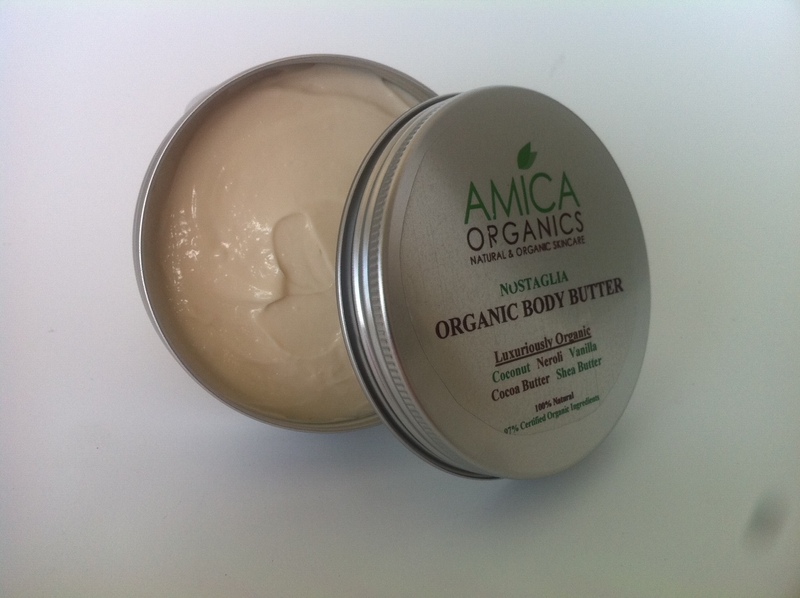 Apply and rub NOSTAGLIA Organic Body Butter Rinse clean and pat dry. Avoid contact with eyes.